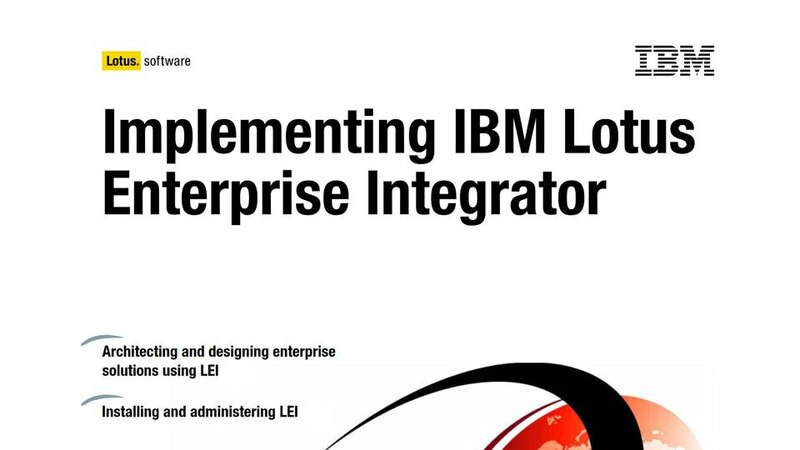 IBM® Enterprise Integrator for Domino® or IEI (formerly IBM Lotus® Enterprise Integrator for Domino or LEI) enables data synchronization between IBM Domino and third-party data sources. Connect your Domino applications to external data sources such as IBM Db2®, Oracle and SAP. By extending the reach of these applications with data from diverse platforms and databases, you can create information-rich, efficient business processes and workflows. Access and incorporate new and diverse information into processes and empower stakeholders to make more informed decisions and drive positive results. Gain near-instant access to a range of data sources and operating platforms, including IBM Db2, Oracle, SAP, Microsoft SQL Server, Sybase and Open Database Connectivity (ODBC). Use IEI scripted activities to run all of your LotusScript® agents. You can centralize your scripts and take advantage of the ability to chain agents together to build complex workflows. Transform your IEI administration database into a single source for accessing and administrating your RDBMS systems.